If Mike Pompeo’s ultimatum to Iran, after US withdrawal from the Iranian nuclear deal, was fulfilled it would inflict economic warfare on the country and set up Tehran for failure while reasserting a US-led unipolar world order. However, it is doomed to failure. As Iranian President Hassan Rouhani pointed out following the US Secretary of State’s declaration mirroring the views of President Donald Trump’s new national security adviser, John Bolton, the era when the US will “decide for the world” is over. Pompeo outlined the 12 demands on Iran in a speech on May 21 before the US think-tank Heritage Foundation. Even many of the conservative participants in attendance seemed to be skeptical of how effective the demands would be to prevent the US from imposing more onerous sanctions on the Islamic Republic. Pompeo’s ultimatum demanded that Iran halt all uranium enrichment, with access to “all sites”“anywhere, anytime.” Yet, the Islamic Republic is a signatory to the nuclear non-proliferation treaty which entitles it to enrich uranium for civilian use, as does the Iranian nuclear agreement, formerly known as the Joint Comprehensive Plan of Action, or JCPOA. The ultimatum went well beyond anything to do with Iran’s nuclear program - demanding that the Islamic Republic halt its missile development, support for Hezbollah and Hamas and demanded that it withdraw all forces under the Iranian Revolutionary Guard Corps (IRGC) from Syria, where it has been fighting along with Hezbollah against the Islamic State and al-Qaeda at the invitation of Syrian President Bashar al-Assad. Left unsaid in Pompeo’s demands was that the US is in Syria without invitation, supporting the jihadi Salafists who also are backed by Israel and Saudi Arabia and are threatening Syria, Lebanon, Iraq and Iran itself. In plain-talk English, what Pompeo and Bolton want through their economic warfare against Iran is regime change. Pompeo is signaling an effort to reassert US leadership of a Western world order on Middle East countries, as are European Union countries in resisting Trump’s new brand of economic warfare. Trump’s 180-degree turn represents a strategic change from his previous position of wanting to pull out of the Middle East. Strangely, it comes at the same time when Americans at home are just beginning to realize the benefits of the tax cut and creation of more jobs at home, promises that Trump said he would fulfill during the campaign. But he also promised to move the US Embassy to Jerusalem and drop out of the JCPOA. What has occurred is that one campaign promise has cancelled out the benefits of the other as a result of Trump imposing sanctions not only on Iran but on companies anywhere in the world that have contracts with US companies but continue trading with Iran. In turn, he has created further tensions in the Middle East, prompting the price of oil to rise from $70 to $80 a barrel just in the week that I was in Iran. Such an increase is already being reflected in the rise of gasoline prices Americans are having to pay, thereby minimizing any benefit from tax savings. Trump’s actions reflect the fact that the neo-conservatives advising him are back in full fury pursuing a new geopolitical strategy that mirrors what has been left undone following the American invasion of Iraq in 2003 when Saddam Hussein was removed as part of a pre-emptive policy of regime change throughout the Middle East. When I was at the Defense Department during that period, I had an occasion to brief Bolton one time during which he outlined pursuing regime change not only in Iraq, but then in Syria, Iran, Libya and Saudi Arabia – all countries at the time that were regarded as enemies of Israel. As with back then, we are witnessing the Trump administration implementing Israeli foreign policy. Given the initial resistance by European Union countries to Trump’s sanctions and dropping out of the JCPOA - a watershed moment - they have signaled staying in the agreement. But that may not last due to sanctions the US can impose on European companies which have contracts with American firms that continue trading with Iran. I recently was in Iran talking to Iranian officials just after Trump announced dropping out of the JCPOA. I was there at the 6th International New Horizons conference held in Iran’s spiritual city of Mashhad. What emerged from the three-day conference was a call to resist Trump’s actions of reasserting his version of a US-led unipolar order by undertaking a “multi-polar” approach that will see a new economic order, with the idea of separating countries from American economic dependency and isolating the US and Israel. 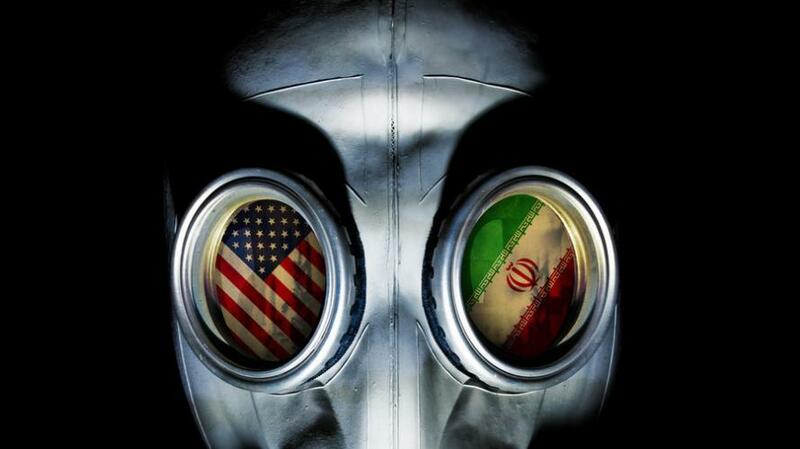 What is evolving in response to the US dropping out of the JCPOA is a new world order that could begin to see Iran, China, Russia, Eastern European and Central Asian countries creating their own economic engine to minimize the impact of US influence. It could include a reinvigorated Shanghai Cooperation Organization founded by China and Russia and Central Asian countries. With China nearing completion of its One Belt, One Road Initiative from Asia to Europe, it could open the way for European countries who are members of the EU and Eastern Europe to expand trade and escape the yoke of weaponized US economic influence. This development already appears to be happening. British Prime Minister Theresa May has been dealing with Brexit, a long and tedious process to separate from the EU. She had hoped to turn to the US as an alternative, more favorable market. Yet, she has announced that she intends to resist Trump’s sanctions. Her efforts, however, may be short-lived, since Britain is only the size of Indiana and its companies could not survive without the US market. Consequently, she has begun to look to China as an alternative market. In response to Trump’s recent action on the JCPOA, Russian President Vladimir Putin could once again extend an invitation to Iran to join the SCO. Putin already has said he sees no obstacles to Iran joining the SCO. Its membership had been offered following completion of the 2015 nuclear agreement. However, the effort was rejected. This time, it could be different, since Iran is in full compliance with the JCPOA but Trump broke from that agreement. Iranian officials told me that if the US wants to work with Iran, it needs to “decouple” its Israeli policy from dealing with the Islamic Republic. In effect, Trump has done everything Israeli Prime Minister Benjamin Netanyahu has sought – moving the US Embassy to Jerusalem and dropping out of the JCPOA.